Delivering more than the two-thirds majority required as many of Orban's allies in the conservative party deserted him, the vote, however, has little chance of ending up with the ultimate penalty of Hungary being suspended from voting in the EU - if nothing else, its Polish ally would veto that. 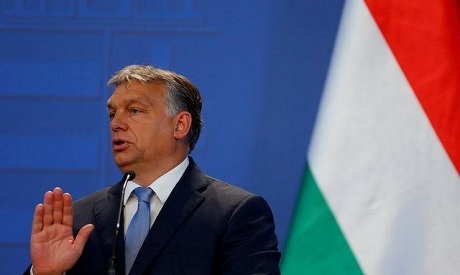 But the 197 votes cast against parliament's first bid to launch the punitive process of the EU treaty's Article 7 highlighted the substantial minority of European opinion who see Orban as a crusader for the rights of nation states and ethnic majorities against rules of civic behaviour agreed in Brussels. "Individuals close to the government have been enriching themselves, their friends and family members at the expense of Hungarian and European taxpayers," she said. "The Hungarian people deserve better." Sargentini praised support for her motion from much of Orban's European People's Party in the chamber -- the EPP includes German Chancellor Angela Merkel's Christian Democrats -- and she called on governments in the EU's Council to now take the unprecedented step of sanctioning a fellow member.